Ever since a country physician by the name of Edward Jenner administered the first documented inoculation in 1796, vaccinations have become an incredibly important, incredibly necessary part of our society. Not only did Jenner’s idea directly prevent millions of people from dying from smallpox, which had already claimed millions of human lives in the 18th century, but it changed the way we think about disease. Smallpox, rinderpest, malaria, polio; vaccination has eradicated or nearly eradicated all of them. This is why we send reminders to let folks know that their pet is due for vaccinations: just like with humans, very serious, debilitating, and deadly diseases have been kept at bay through vaccination. 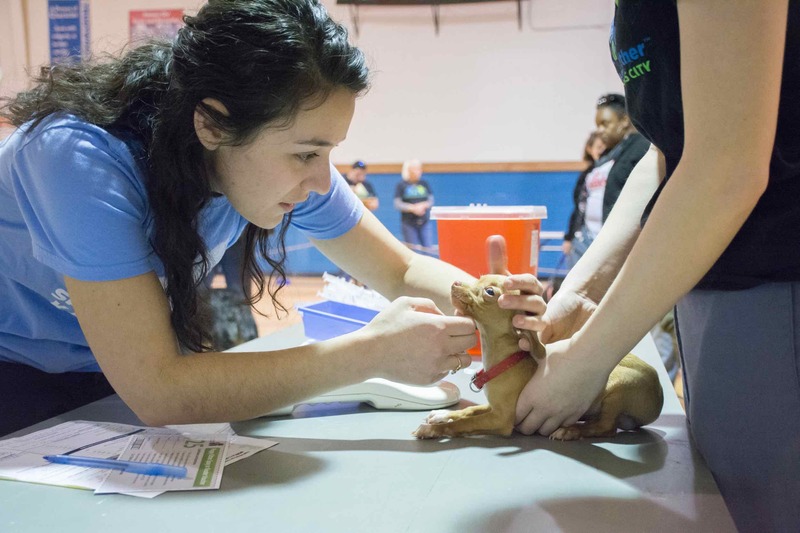 Keeping your pet up to date on their shots not only keeps them healthy, but helps provide our community of pets herd immunity, limiting the ability of diseases to infiltrate the population. So what do these vaccinations protect against? Let’s have a look. This is one of those vaccinations that’s pretty straightforward, right? We all know that rabies is bad, but have you ever seen it in action? It’s not pretty stuff. That’s what we tend to forget about vaccines: they’ve made it so that the majority of us don’t remember what it looks like to see a dog or cat suffering at the hands of these diseases. What rabies does is cause inflammation of the brain in mammals. It gets spread when an infected animal bites or scratches another animal or a human. The early symptoms are fever and tingling where the animal was exposed to the virus. After that, they may become violent, have uncontrolled excitement, fear of water, confusion, and on and on. Symptoms show up after about one to three months, but that timeline can vary a great deal, from over a year to as short as a week. Once symptoms appear, the result is almost always death. That’s why vaccination is extra important. DA2PP is one of the canine core vaccinations, and stands for all the viruses it protects against: canine (D)istemper, canine (A)denovirus type (2), canine (P)arvovirus, and canine (P)arainfluenza. So, what exactly are those viruses? Canine distemper infects the gastrointestinal and respiratory tracts, as well as the spinal cord and brain. Common symptoms include high fever, eye inflammation and eye/nose discharge, labored breathing and coughing, vomiting and diarrhea, loss of appetite and lethargy, and hardening of nose and footpads. It is very, very contagious, debilitating, and deadly. Canine adenovirus type 2 is a virus that causes infectious canine hepatitis via the feces, urine, blood, saliva, and nasal discharge of infected dogs. It affects the liver and kidneys. Canine parvovirus, or parvo, as you may know it, can be very deadly, especially to puppies. That’s why we ask that unvaccinated puppies be held on their owner’s lap. We have strict cleaning protocols, but all it takes is for that unprotected pup to come into contact with something they’re not yet ready to handle for them to get sick. Lethargy, loss of weight, loss of appetite, diarrhea, fever, and more show up in the beginning, and the progression of the virus is often very quick. 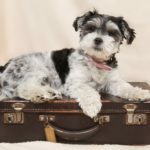 Bordetella you may know because if you take your dog to get groomed or boarded, they’ll want to make sure your pup is up-to-date on it. 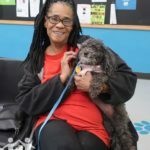 The reason for this is because Bordetella causes kennel cough, which is very, very infectious, especially among dogs that are together in an enclosed space. But what about cats? They get rabies vaccinations, sure, but what about those kitty-specific issues? FVRCP is another one of those that’s named for all the things it prevents against. It protects against feline viral rhinotracheitis (FVR), aka feline influenza, as well as feline calicivirus (FCV) and feline panleukopenia (FPV). We’re mostly just happy they called it FVRCP and not FVRFCVFPV, because that’s just too much. Rhinotracheitis is caused by the feline herpes virus. Symptoms that appear are sneezing and a runny nose. Eventually this illness causes dehydration, starvation, and death. Calicivirus does a very similar thing, but apart from just affecting the respiratory system, it can also cause ulcers in the mouth, and can cause pneumonia if it’s untreated. Panleukopenia is also known as feline distemper. It spreads incredibly easy and is common enough that nearly all cats, regardless of their living situation, will be exposed to it in their lifetime. It’s especially common in kittens who haven’t been vaccinated yet, and it progresses so quickly that a cat can die within 12 hours of contracting it. These core vaccines are essential. 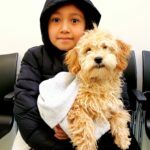 As a nonprofit, we want to provide a support system for owners that’s affordable and covers all the common diseases their pet might come up against. Getting your pets vaccinated every year gives them their best chance at a long, healthy life. In addition, the more pets that get vaccinated, the more herd immunity all the pets in our community have. It’s a win for you, your pet, and the community.